- the probably less than practical way. Also known as "God I hope I still know how to use LJ"
So this tutorial. What do we need? 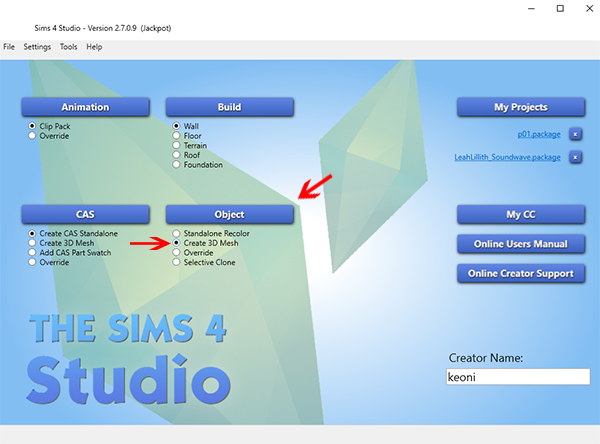 To use Sims 4 Studio, you need to have Sims 4 installed. Just so you know. 2. 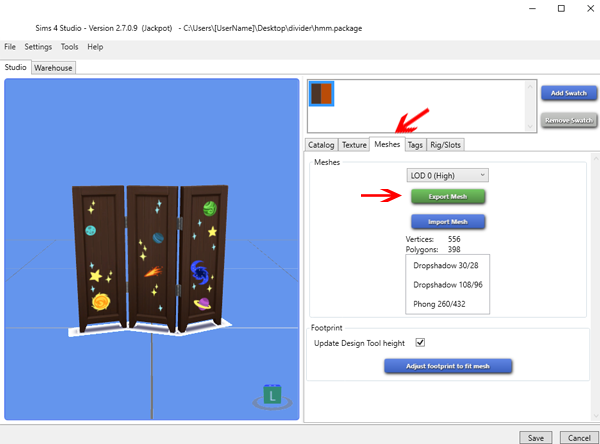 Here you see all objects that came with the game. Scroll until you find the one you want to convert. 3. Found it! 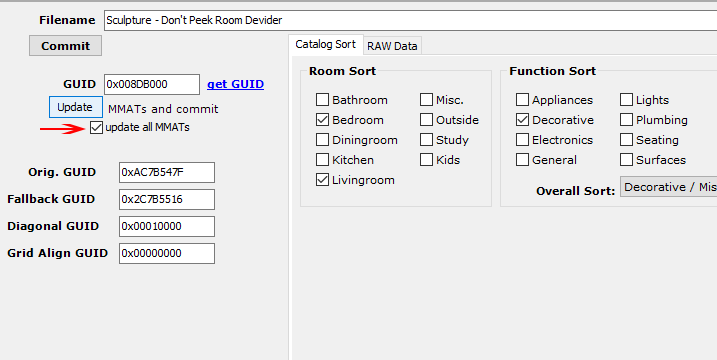 Click on the object you want to convert to select it and click Next. 4. Tadaa. 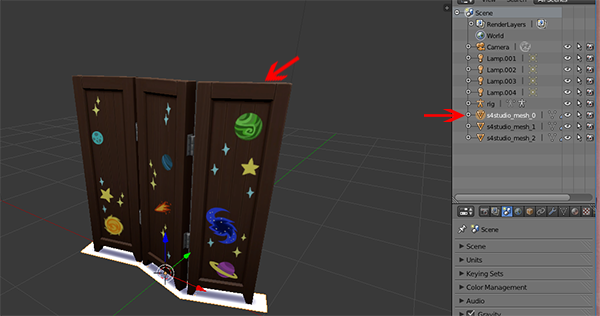 Let's export the texture first. 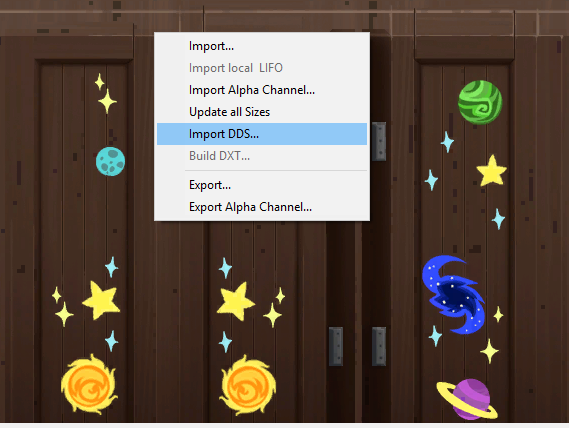 Click on Export and save the image in a place you'll remember. 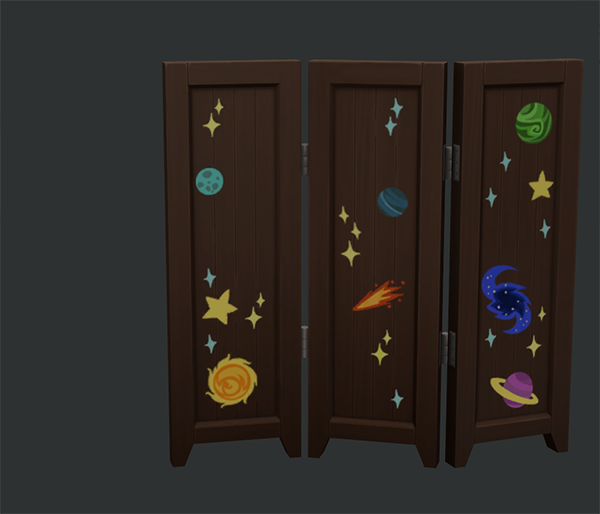 Click on Export Mesh and save it somewhere you'll remember. 7. In the right-hand menu, select one of the inverted triangles. Check each of them until you have the right part selected. The selection will have an orange outline. You want the mesh itself, not the shadows on the ground (or wall, if you're doing a wall deco). 8. 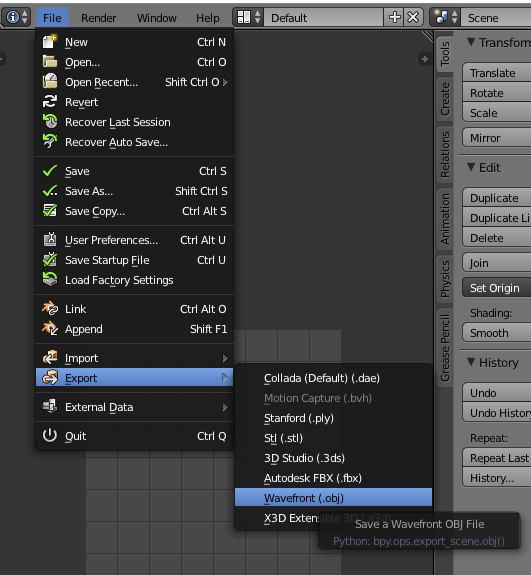 Once you have the mesh part selected, go To File>Export>wavefront obj. 9. These are my settings. I've probably checked some unnecessary things. Sorry about that. Once you've set your settings, click Export in the upper-right corner. 11. 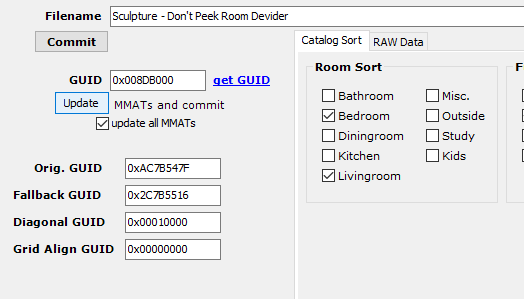 You can leave the name and catalog description for later, but I always like to get it out of the way. 12. 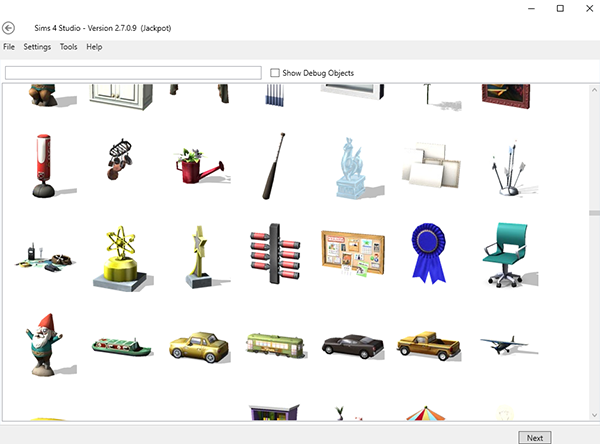 You can get the name and catalog description from Sims 4 Studio, under the tab Catalog. Just copy and paste in into SimPe. 13. 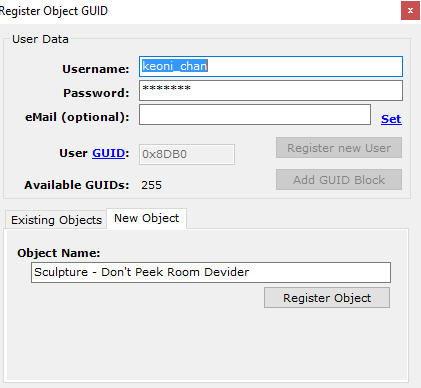 Give your object an unique name. Click on update, then on OK. 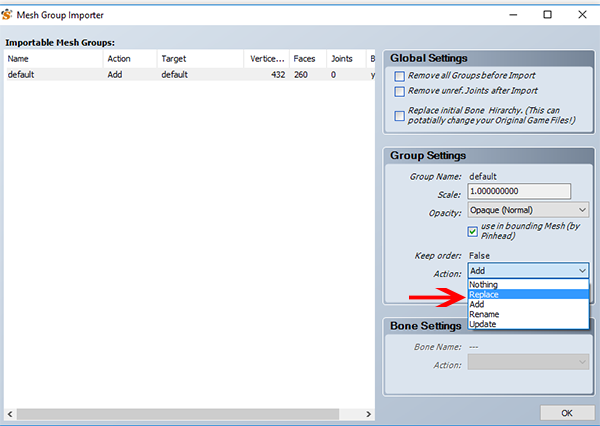 This will ensure your new object doesn't overwrite the original. 14. 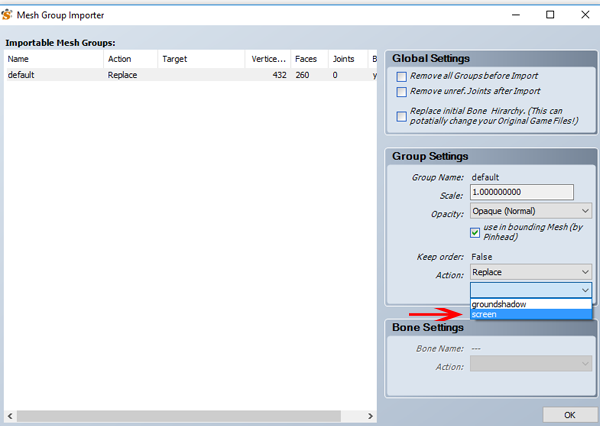 In the next screen, check the box next to Update all MMAT's. After that, click on Get GUID. 16. Click on Update and click commit when you're done. 17. 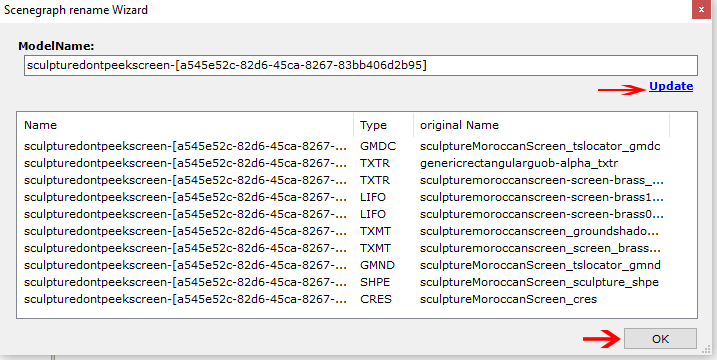 In the resource tree, click on Geometric Data Container. 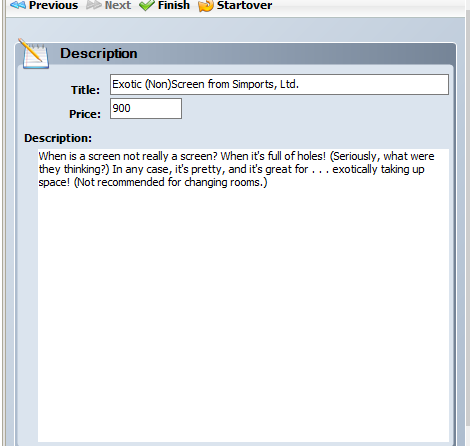 Then click on Import at the bottom of the screen. 18. 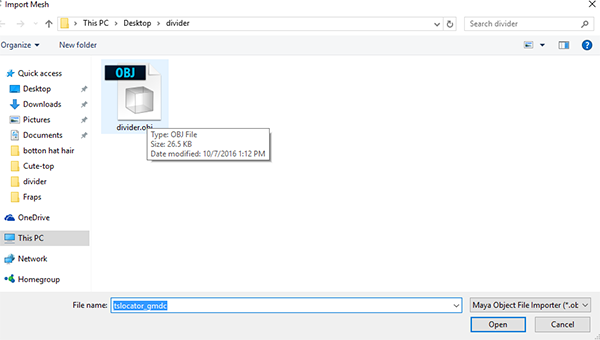 Navigate to your object-file and click import. 19. 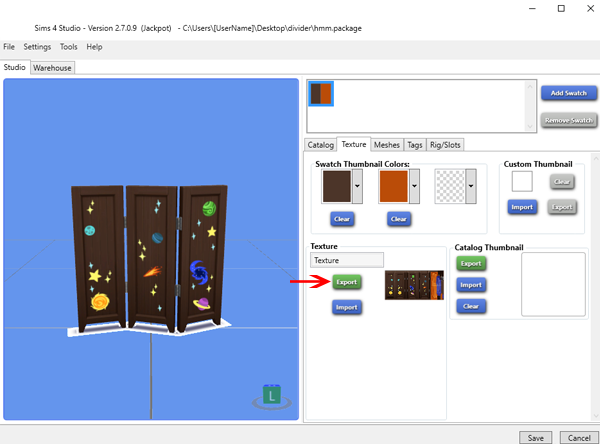 You'll get the mesh import screen. 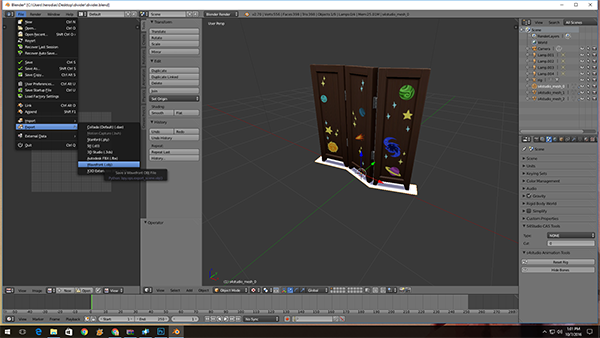 click on your mesh and in the right bottom corner, click on the drop down menu labeled Action. 20. 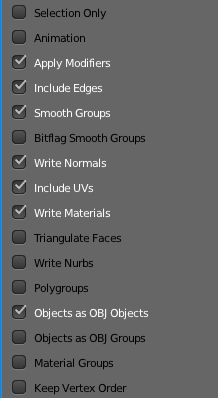 In the drop down menu below that, pick the part of the mesh you want to replace. There's usually two, one for the actual object and one for the shadow. 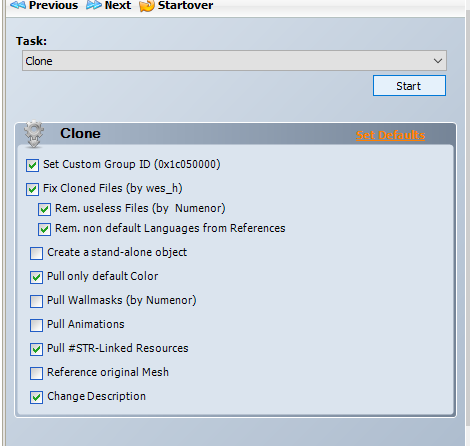 Pick the part for the object and click OK.
Click on Commit when you're done. 21. 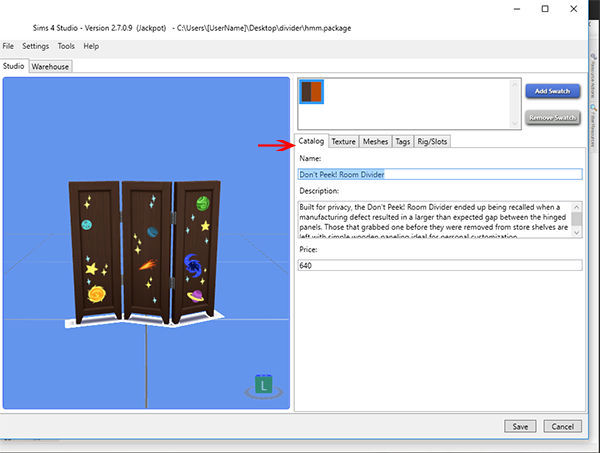 In the resource tree, click on Texture image and select the texture of the object. 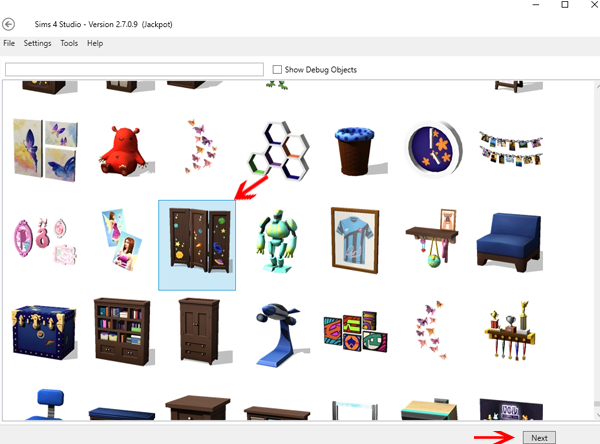 In the plugin view, right click on the image, choose import DDS and navigate to your exported Sims 4 texture. 22. 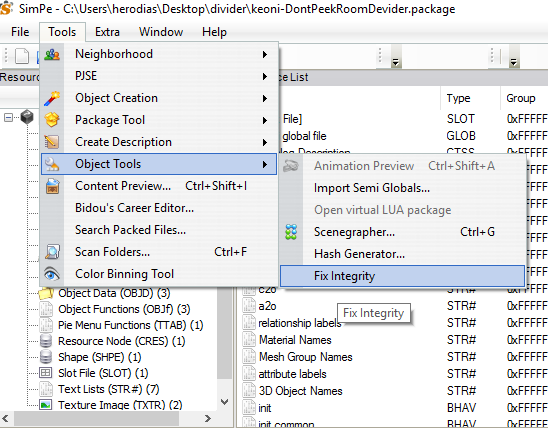 To make sure your new object doesn't mess with the original, go to Tools > Object Tools > Fix integrity. The screen works the same as the one for step 13. Save when you're done. 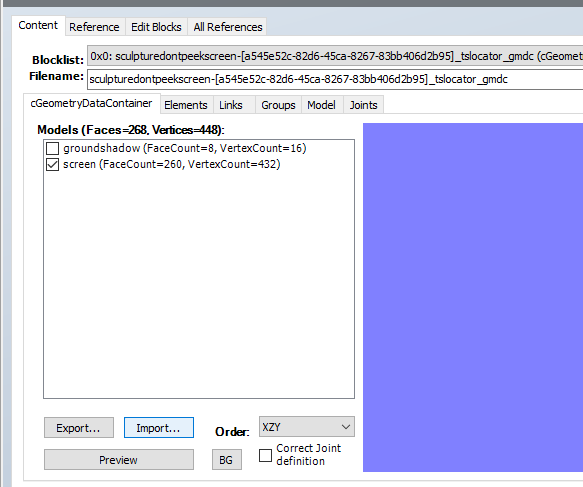 Time to test the object!